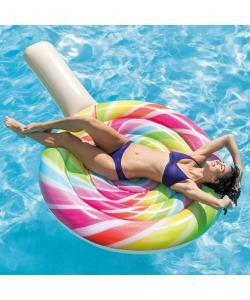 Inflatable Lollipop Float - Dimensions approx. 82" x 53" (2.08 m x 1.35 m). 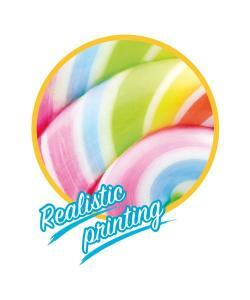 Made of high quality vinyl 12ga (0,30 mm), scratch and tear resistant. 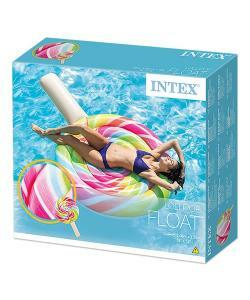 Great inflatable float for adults looking to look extra fresh, but also suitable for kids aged 3 years+. 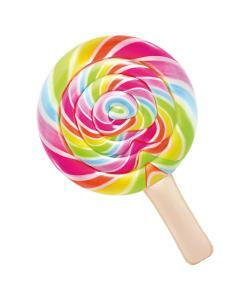 Colourful lollipop design - an absolute must-have for the summer. Repair patch included.